That lovely green "sale" banner. Here's kind of an insane deal for anyone who's up for a few intense strategy-oriented co-op games. Arcen Games, the studio behind A Valley Without Wind and Shattered Haven, currently haa seven games on sale ranging from 50-85% off. The best part is most of them have co-op! 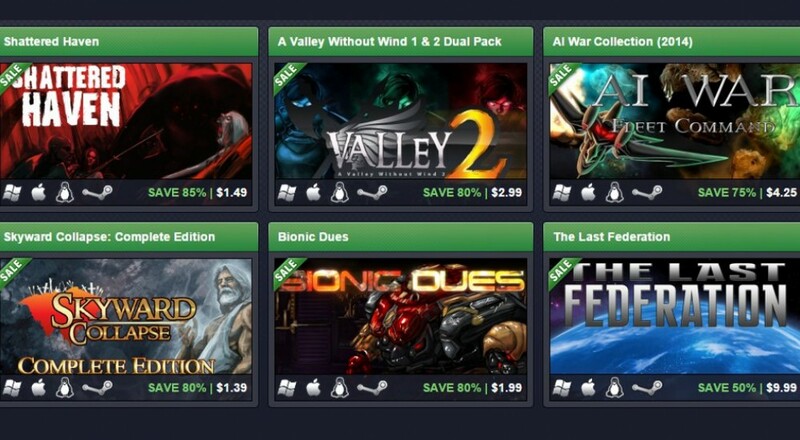 The big sale was prompted by Arcen's catalogue reaching the IndieGameStand.com storefront, the only location where the deals can be found. All purchases include PC, Mac and Linux copies of the games as well as redeemable Steam codes. Prices go back to normal on November 4th. And just in case buying games that aren't bundles just isn't your style, the Bundle Stars Carnage Bundle features ten themed indie games for the super low price of $2.99. One of those games happens to be Shattered Haven. So many choices! Page created in 0.7832 seconds.